With some authors, what they write doesn’t matter so much as that they meet the expectations of their faithful readers. 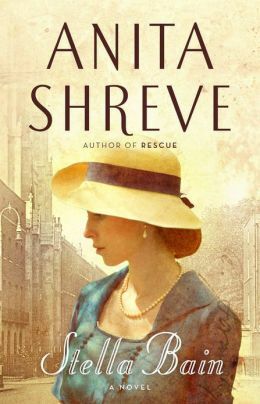 The author of seventeen novels, Anita Shreve delivers her latest – Stella Bain – using memory loss, an abusive husband, World War I, shell shock, psychoanalysis, and lost loves in a romantic tale of an early twentieth century woman who has the strength and courage to recover and create a new life. If you are a fan and have been waiting, you will enjoy the story and wonder when the next book is coming. This entry was posted in authors, book review, books, historical fiction, history, reading and tagged Anita Shreve, history, psychoanalysis, Shell shock, Stella Bain, Twentieth Century, Wars and Conflicts, World War, World War I. Bookmark the permalink. I’ve been waiting for her new book!